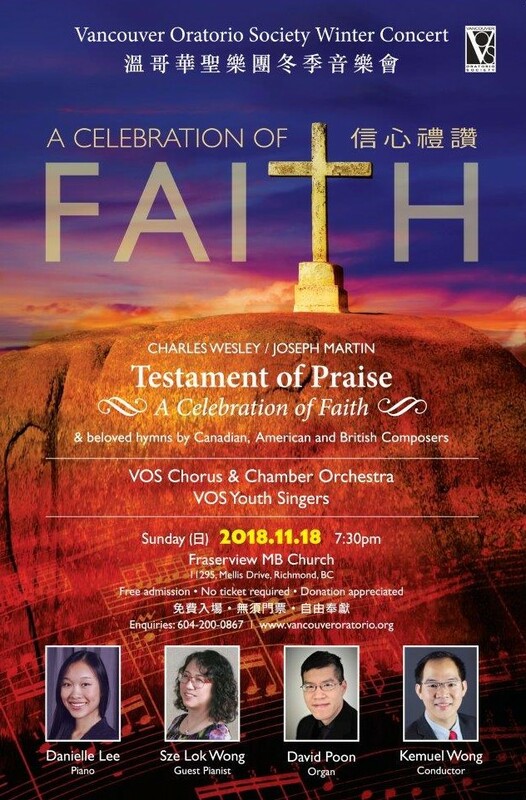 Originally commissioned for the 300th anniversary of Charles Wesley’s birth, this cantata “Testament of Praise – A Celebration of Faith”, arranged by Joseph M. Martin, contains beautiful arrangements of Wesley’s treasured hymns, along with original settings of some of his most inspiring lyrics. The legacy of praise is an important element as the work unfolds and celebrates the gift of worship in the life of the church. 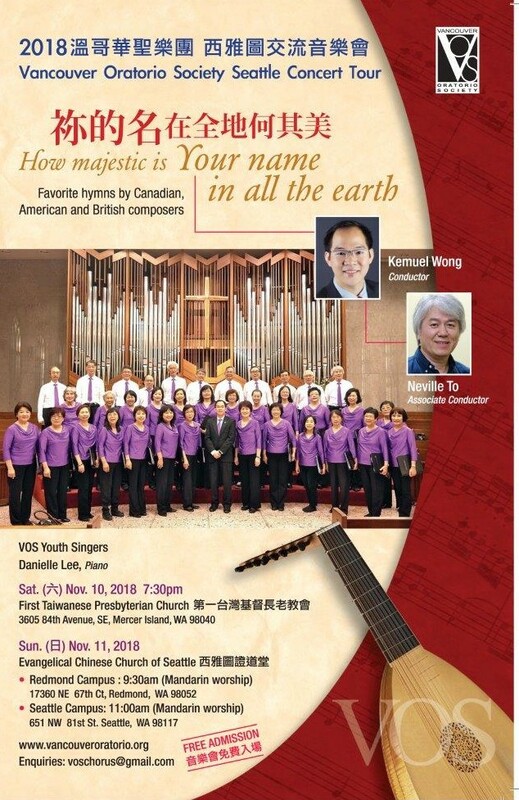 VOS 2018 Seattle Concert – “How Majestic is Your Name in all the Earth” 祢的名在全地何其美! 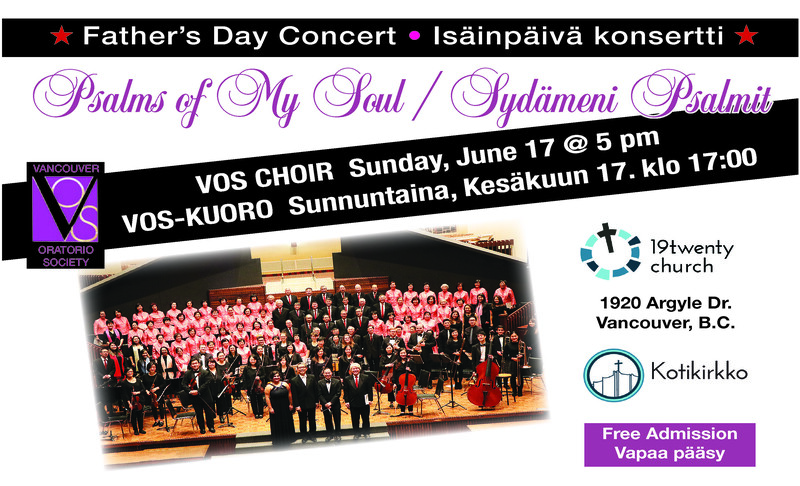 Join the VOS Chorus and Youth Singers to this distinctive concert tour in Seattle and enjoy an evening of beloved hymns by Canadian, American and British composers – a concert that will resound with joy that you won’t forget! Two presentations at Sunday Services to refresh your favorites! Join us as we celebrate this special Father’s Day in an appreciation concert featuring a distinctive variety of sacred choral hymnals based on Psalms. 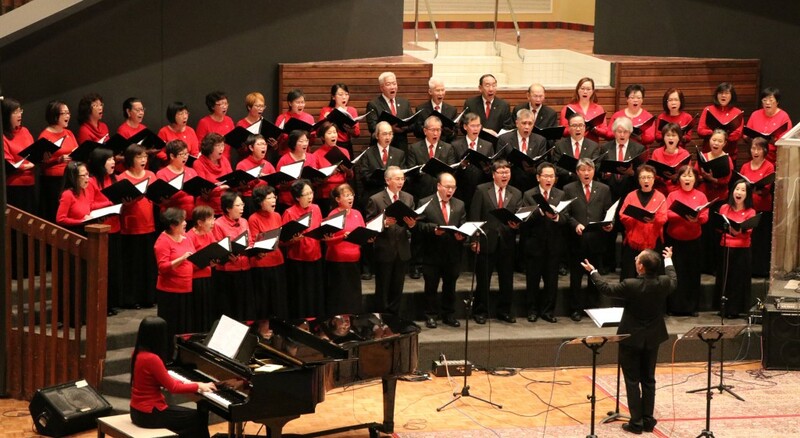 The vibrant beautiful melodies and favorite psalm lyrics are sure to warm up your hearts! Psalm 23 holds a special place in the lives of believers. 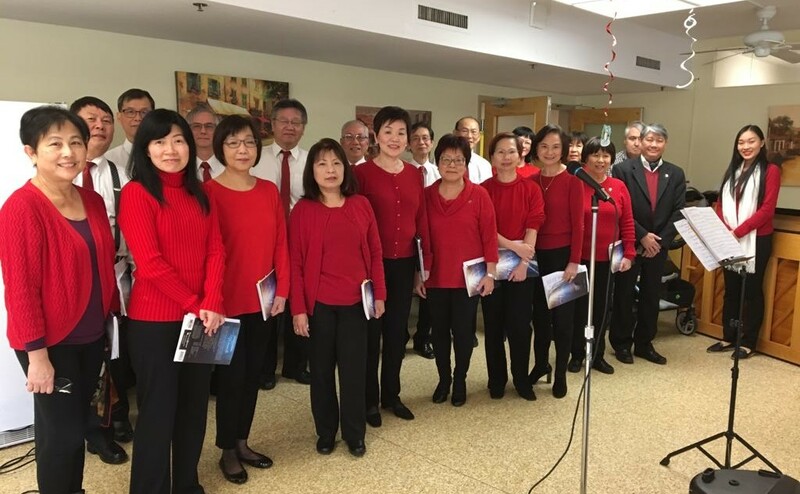 This cantata by Pepper Choplin describes the celebrative journey we travel as the sheep with the shepherd in experiencing God’s love, blessings, providence and eternal home. Meet us for an evening focusing works based on Psalms – from classical to contemporary, well known to newly arranged selections. 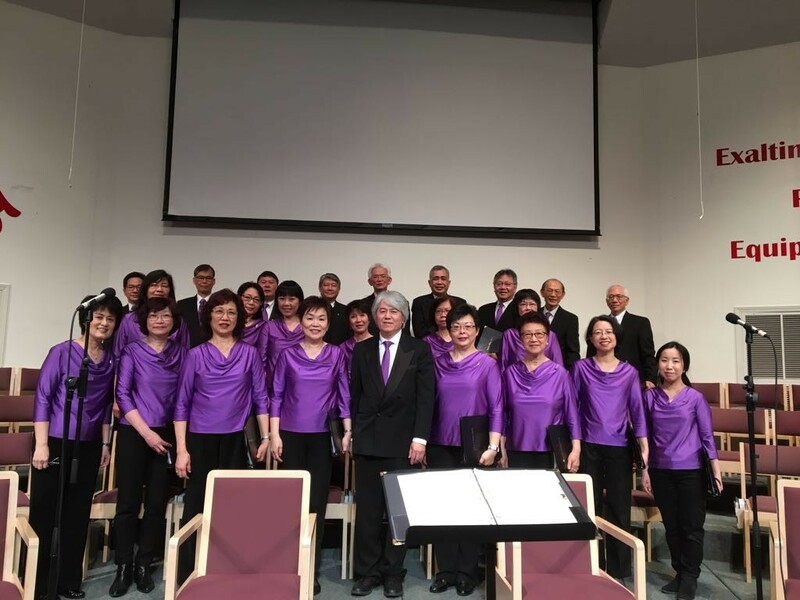 We are honored to participate in the 3-day Vancouver Bible Conference organized by Vancouver Chinese Evangelical Ministerial Fellowship (VCEMF). We look forward to sharing two hymnals related to missions on Sunday, April 29. This year 2017 marks the 500th anniversary of Christian Reformation and Canada’s 150th anniversary. 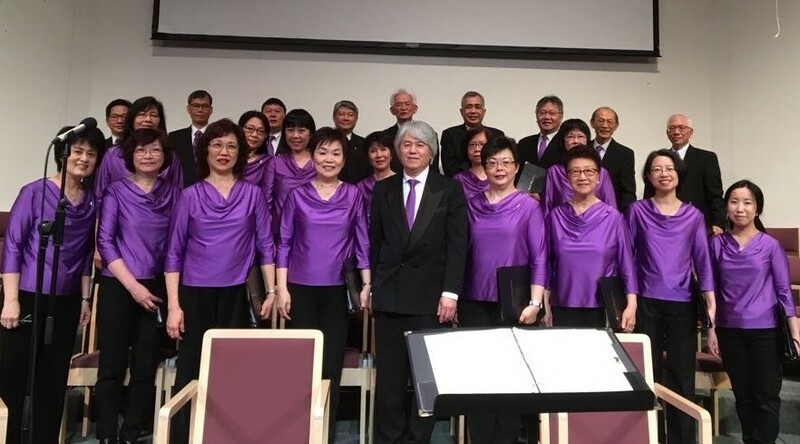 To commemorate this significant milestone, the Vancouver Oratorio Society joins conductors Kemuel Wong and Rt. Rev. Dr. Silas Ng in presenting Josef G. Rheinberger’s “The Star of Bethlehem” and other all-time Christmas selections by prominent Canadian composers. Rheinberger’s The Star of Bethlehem, a cantata composed in 1890 for two soloists (soprano and baritone), chorus, organ, and orchestra, is a lovely, grand and charming work which recounts the biblical story of the birth of Christ and the subsequent visit of the shepherds and the three magi to the stable. The original text was in German and will be sung in English. Meet the VOS for a concert celebrating the Christmas season with all-time sacred selections. 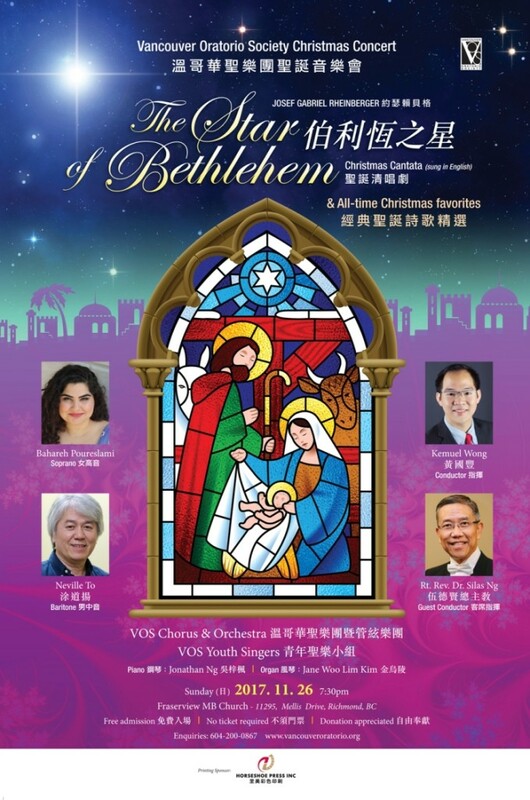 Our conductor Kemuel Wong will lead the VOS Chorus and Youth Singers in the music of Joseph Gabriel Rheinberger, Stephen Chatman, Larry Nickel and favorite carols for all to sing. Free Admission. Join the VOS small group for an afternoon of sharing the nativity story with the seniors in singing traditional carols galore. VOS is privileged to be invited to present two songs at this Evangelical Meeting. VOS is invited by Voices Together to participate in the July 1 Canada Day Celebration Event. 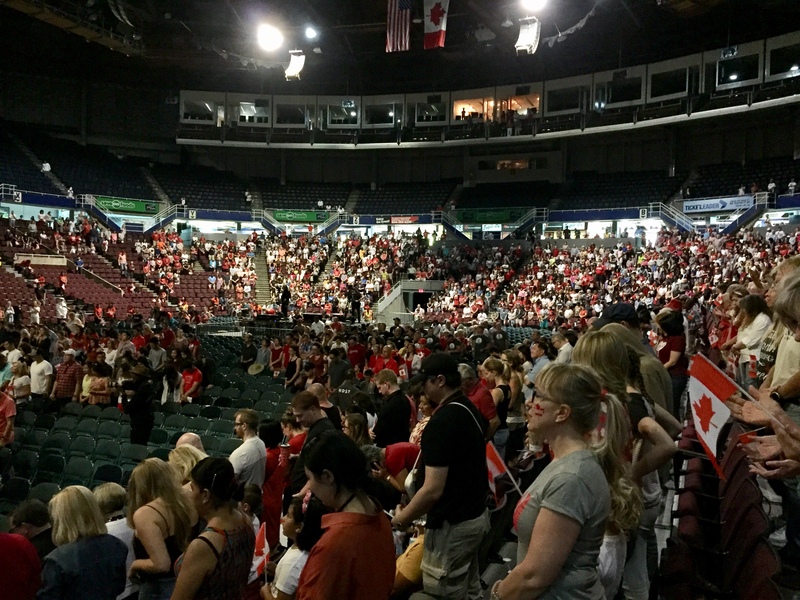 Voices Together 2017 is a free gathering of believers from all over the Lower Mainland at the Pacific Coliseum for Canada Day 150. Not only will we celebrate the 150 years that the Lord has kept us ‘Glorious and Free’, but we will lift high the Name of Jesus in worship, thanksgiving, and prayer to One God, as One Church together with One Voice. 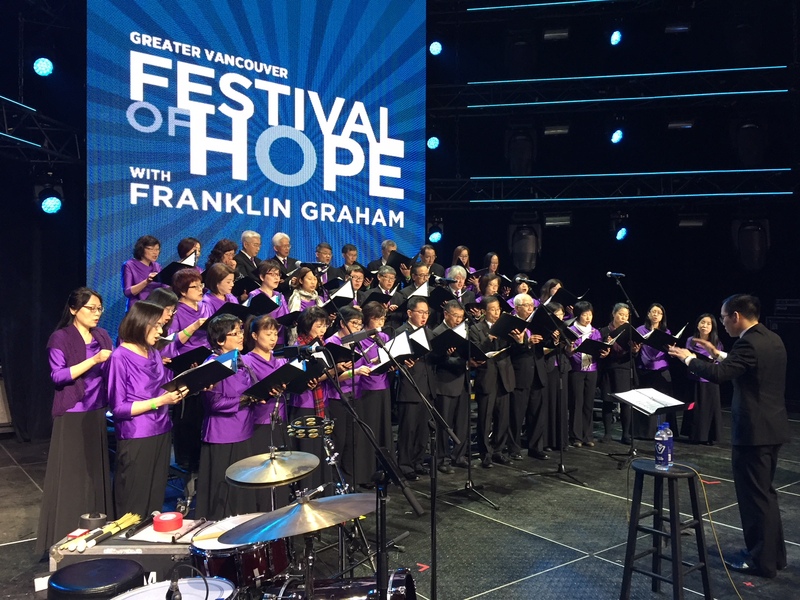 VOS is invited by the Billy Graham Evangelistic Association of Canada to participate in the Greater Vancouver Festival of Hope Event. 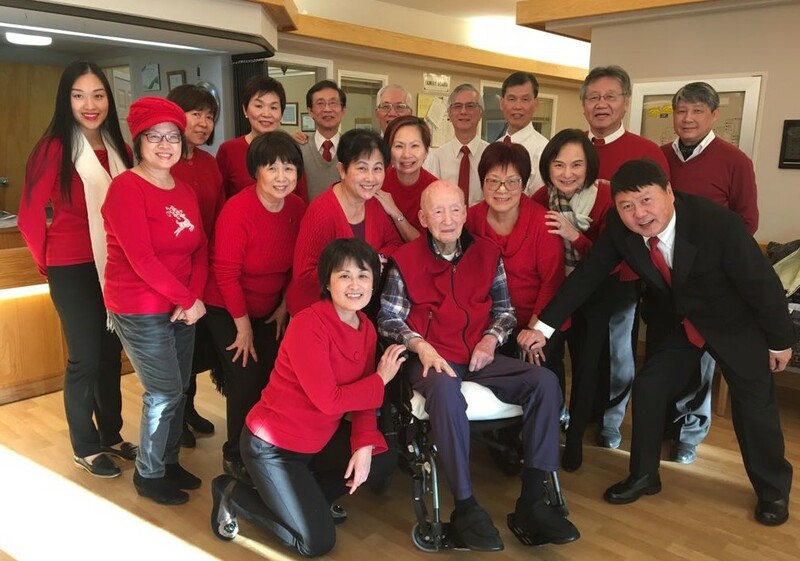 The Billy Graham Evangelistic Association of Canada wants to offer Greater Vancouver Area residents something that will satisfy their deepest longings—a relationship with Jesus Christ. The Festival of Hope is a multi-phase initiative spread over several months that includes prayer, training, Community Action Projects, and many opportunities for evangelism. The ministry culminates with a three-day festival from March 3 to 5, 2017 at the Rogers Arena. Intended to draw thousands of people to hear the Good News of Jesus Christ, each evening will feature Christian musicians, testimonies, and the Gospel message from Franklin Graham. This is a non-ticketed event with free admission. Join the Vancouver Metropolitan Orchestra and special guests for a beautiful summer evening overlooking Coal Harbour towards the North Shore Mountains and Stanley Park. Vancouver Oratorio Society is very privileged to be invited by the Vancouver Metropolitan Orchestra Society to perform at their concert “Spring Fantasy”: featuring music by Beethoven, Haydn and new Composer-In-Residence World Premiere Commission, Trevor Hoffmann, along with the award-winning Canadian piano soloist Wayne Weng. 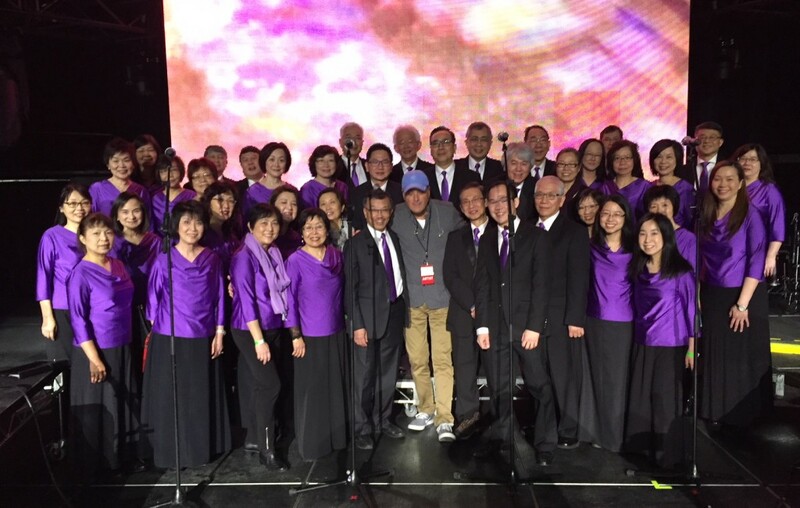 Our Music Director, Frank Huang, has rested peacefully into the arms of the LORD on September 18, 2013. 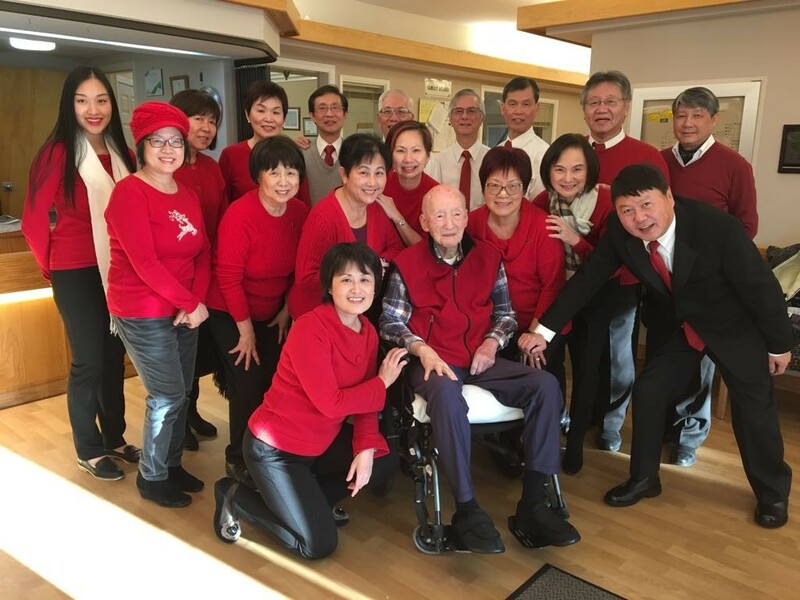 A Celebration of Life will be held on Saturday, October 19, 2013 at 2 pm at Chown Memorial & Chinese United Church 3519 Cambie Street, Vancouver.